When Hawk helped Bill through cancer treatment Bill never suspected he would be doing the same for Hawk someday. 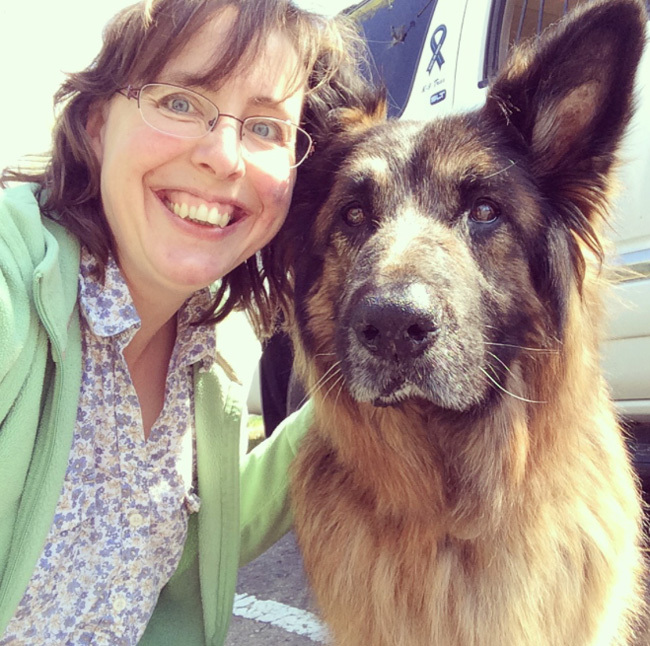 I had the honor of meeting Bill and Lois and their German Shepherd, Hawk in December. The whole family drove to Fort Collins from Clinton, Iowa for specialized cancer treatment. I am happy to report that he is recovering stunningly from his cancer treatment! Bill and Lois kindly send updates and photos of his progress. My heart jumped for joy! Just a few shorts weeks earlier Bill & Lois sat with me in the coffee shop anxiously awaiting his first treatment appointment. Running through the snow was a dream come true. This photo shows him back working, doing what he loves with Bill. Finally on April 21st Hawk returned to CSU for his five month recheck appointment. Sitting at the same coffee shop across the street from the hospital the tone couldn’t be more opposite from December. Hawk’s scan showed no new cancer growth and not only that the scan showed no cancer at all-full remission! My talk with Bill and Lois revealed several new opportunities to serve since Hawks diagnosis. 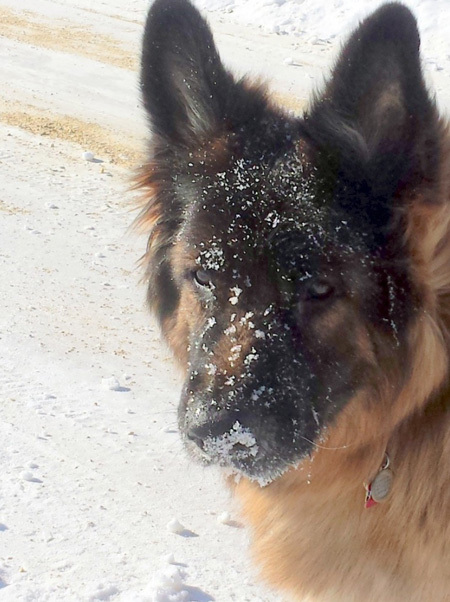 The laser treatment left a distinct square patch of greying hair on his muzzle. On a recent therapy visit to the children’s hospital one patient compared the laser scar on her leg to Hawk’s. He now has a young boy pen pal who is undergoing cancer treatment also. And this spring Bill and Hawk will walk together as cancer survivors in their local cancer event. I am so grateful they shared their journey with me and continue to keep me updated. Want to share your extraordinary story? Call me, I am ready to meet and plan your session! Floppy ears trailing along the floor. Soft loose skin. Huge soulful eyes. Stubby legs capped with pudgy paws. 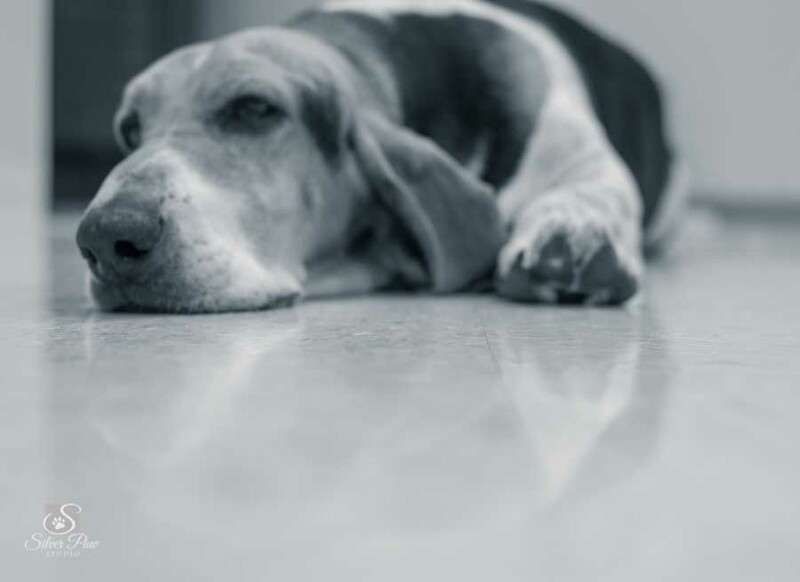 That’s right we are talking about the beloved Basset Hound! Michi is the proud dog mom of two of these characters. Owner of Michi’s Dog Grooming on College Avenue she had her pups with her at the shop while her home had repair work finished. 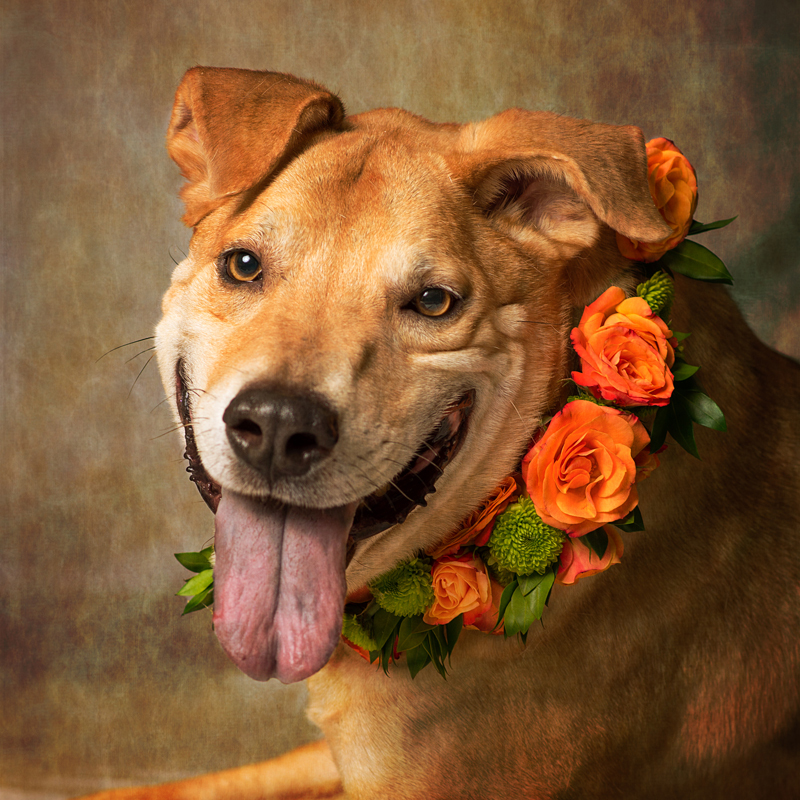 Deacon, May, and Michi volunteered to display the canvas prints from my Animal House Spring Me portrait sessions. 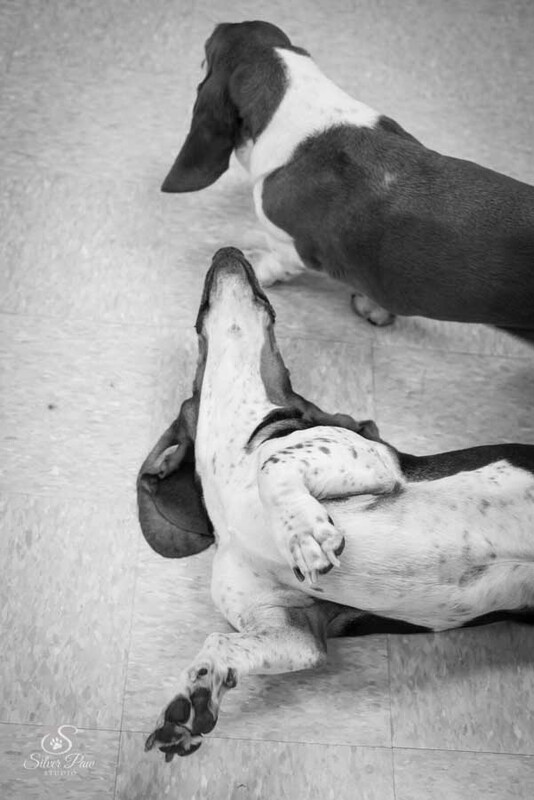 Between hanging each print I scooted on the floor around the shop gathering images of my new playful friends. 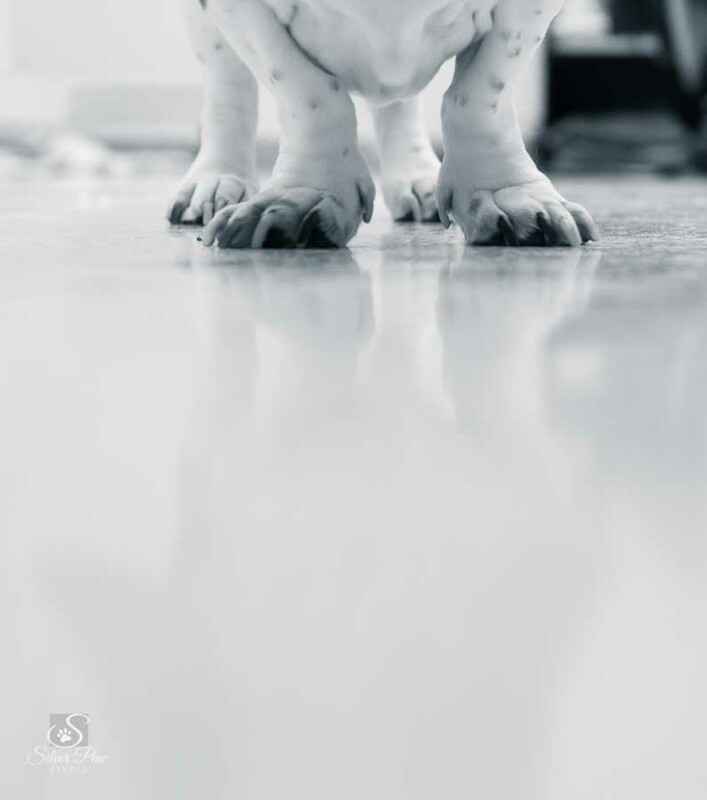 These prints are available to purchase with all proceeds going to Animal House. Call me to make arrangements at 970-286-3198. Michi’s is the first stop on a gallery tour. Until the images are sold I will rotate the display to other locations throughout Fort Collins. Would you like to host the show for a month or two? Great! Call me to set it all up. Thank you to Michi for supporting Animal House and to Deacon & May for keeping their watchful eyes on the art. 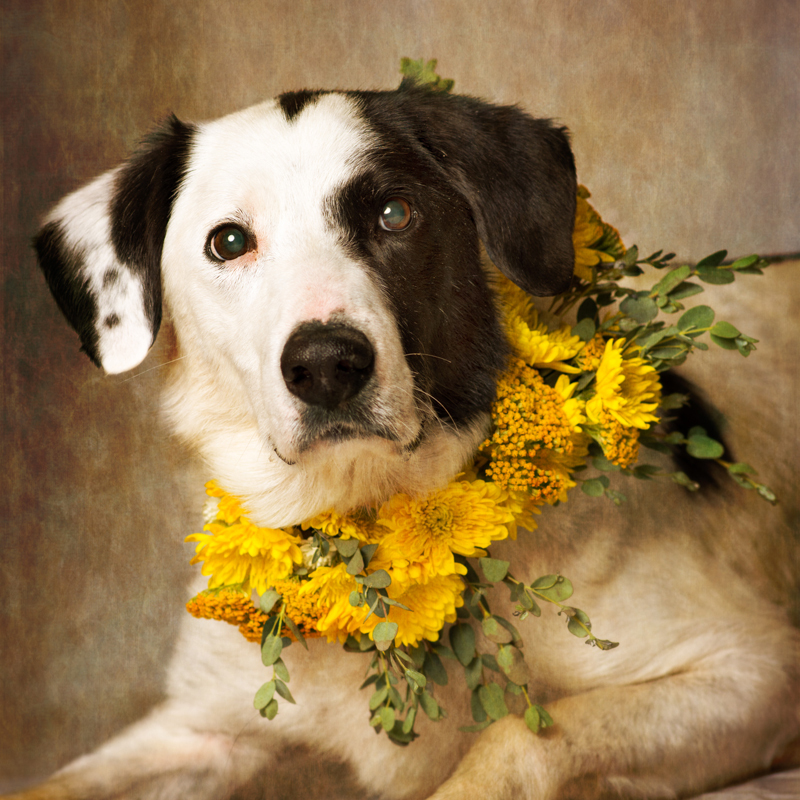 Florist Ria from Nature’s Grace Designs called Animal House Rescue and Grooming and offered her skills to adorn adoptable dogs for a special photo shoot. The “Spring Me” portrait project was born. Bath Garden Center, a long time supporter of Animal House, invited us to take over a corner of the nursery. My photography studio set up in the meeting room, waiting dogs roamed the gift center, and video interviews were recorded in the tropical plants. Some of the pups at Animal House have unique medical or behavioral needs and were waiting several months for the right home. Arnie has a condition called Labrador Myopathy which causes muscle fibers to not function properly. He is super sweet but a slow mover and not too steady on his feet. 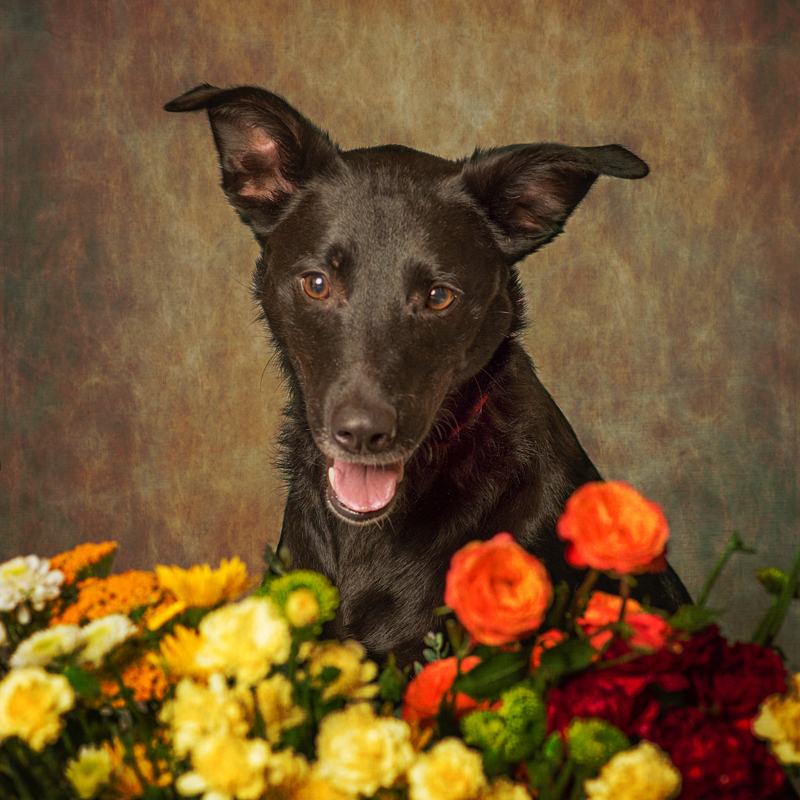 Annabelle is a rambunctious girl who is a bit of a diva. She needs a home where she is the center of attention with no other animals. Lucy can be shy at first but is a fast learner. She is working hard at overcoming her insecurities. 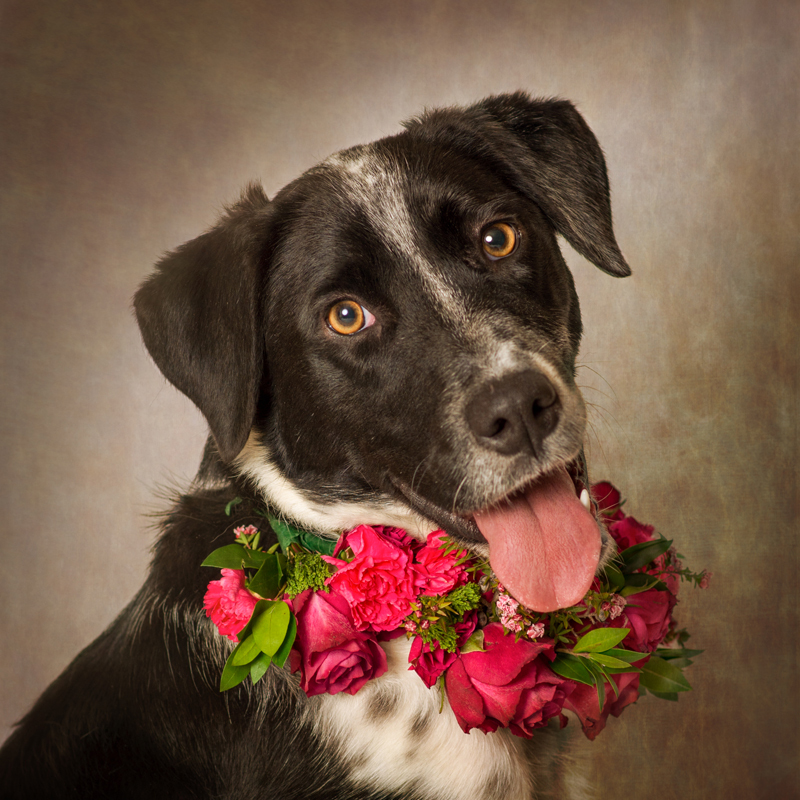 Collaborating with the nursery, Steve Finnestead Photography (videographer), Ria, Animal House staff and foster parents made this project a success! 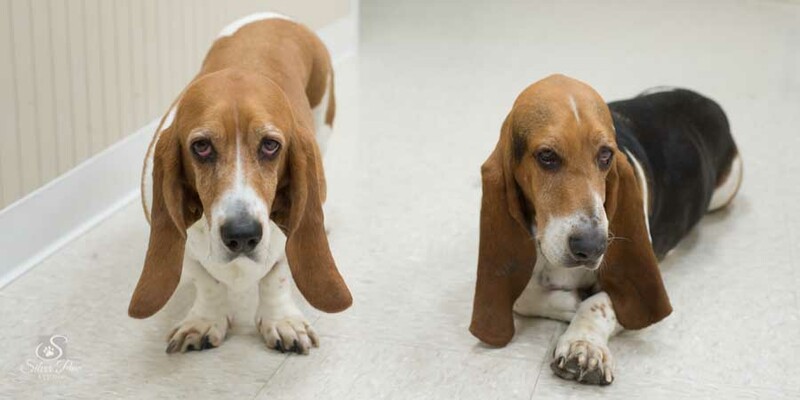 Two dogs were adopted immediately and another just last week! Canvas art prints were auctioned at the Animal House Comedy Nite with some still available (call me for details). I met with Jumo’s new mom, Sue, as she picked up her the canvas print. He now enjoys his days with her and her other dogs living the good life. Steve and I are putting the final touches on a video highlighting the event. Be sure you are part of The Fam mailing list to be the first to view the movie! Would you like a private flower crown session? 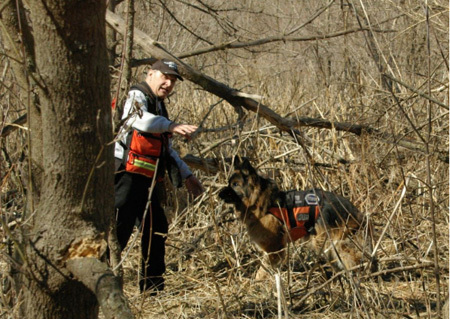 Do you work with a rescue group who could use some sweet publicity? Email me to work out the details. Project inspired by Sophie Gammond in New York City and Humane Society of Utah photographer Guinnevere Shuster. Wanna liven up your Saturday night? Like comedy? Love animals? Good news, you have been chosen! Click over to the Lincoln Center and get your hands on tickets to the funniest night of the year. Choice City Comedy Nite presents Bark on the Boardwalk. Enjoy magic acts, yummy food, my super fun photo set and some great items up for auction. This is the biggest fundraiser of the year for Animal House Rescue and Grooming. 100% of the proceeds go straight to helping our four legged friends. Tickets are limited to 300 and are on sale through tomorrow, Wednesday, April 8th. 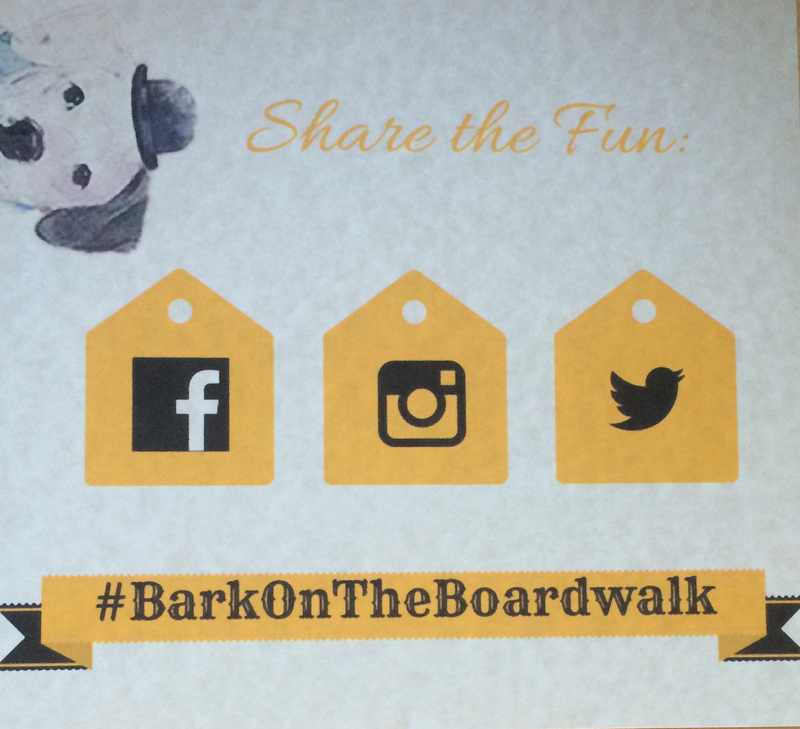 At the event be sure to upload all your fun photos and tag with #BarkOnTheBoardwalk.